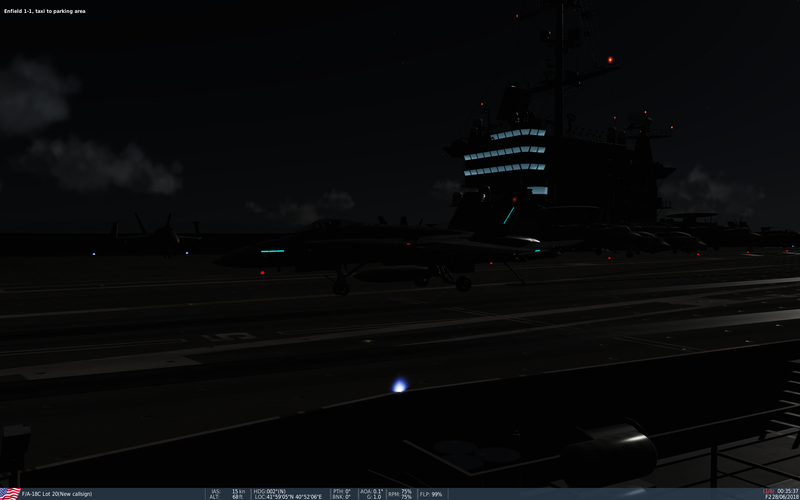 Landing 24 AI controlled F/A-18C's on the Stennis. Some nice things going on and some nasty stuff also, certainly near the end when it gets crowded. Aircraft elevators work but not exactly as it should. (click the images for full screen). Real close now, ball is almost center, just a little low. 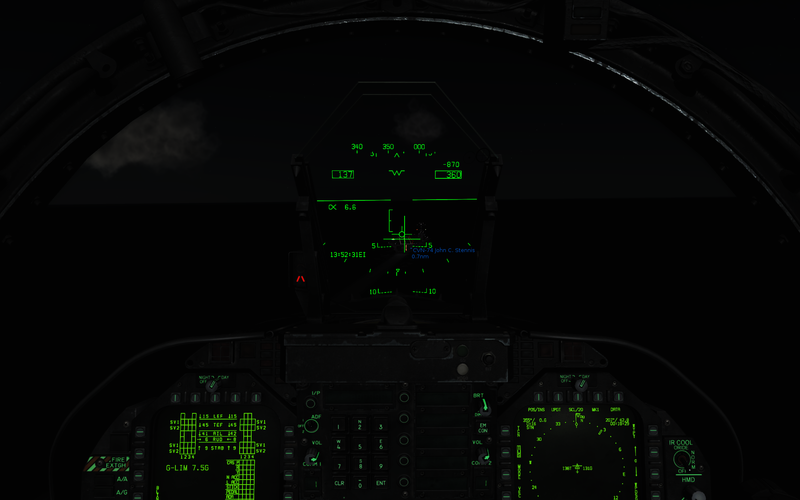 ILS shows this + a little to much to the right and not 100% in line with the line of the deck either. 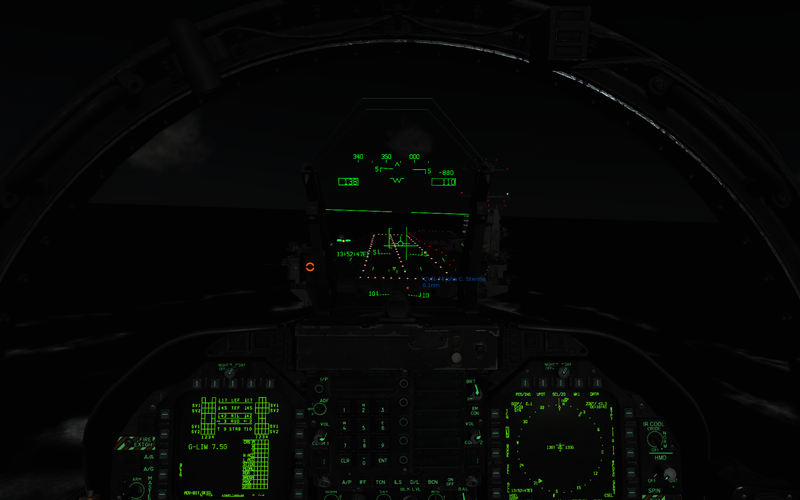 In fact, ILS makes things a lot easier when flying the ball alone without ILS. Catching 2 wire (dipped a bit to low in the end). "We're on the side of the demons, Chief. We're evil men in the gardens of paradise, sent by the forces of death to spread devastation and destruction wherever we go." --Col. Tigh. BSG. 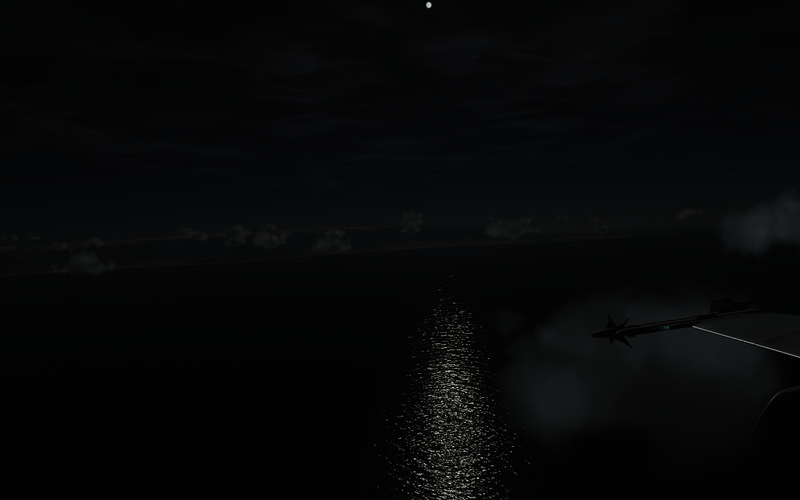 Performance took a bit of a hit when going from DCS World 1.5 to 2.5. Must admit that they upped the graphics a level or 2 also. 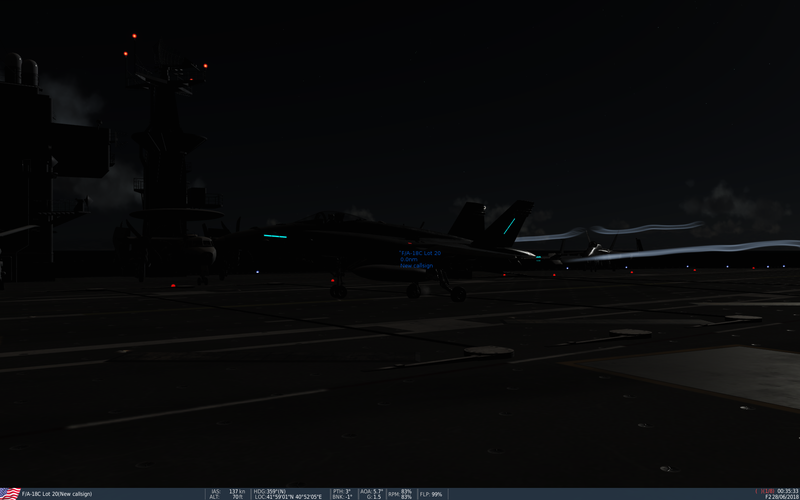 It took another hit when the F/A-18C arrived on the scene, older aircraft like the A-10C still perform well but when jumping in the F/A-18C seat, FPS went down again. My almost 4 year old GTX 780 performed well so far but with the F/A-18C it could not keep up all the time (60 FPS on 1920x1200) so today i swapped it out for a second handed ASUS ROG Strix 1080Ti 11GB DDR5. Performance x3 !!! Hell yeah. the 1080Ti is a great card. Also the new one 20XX coming soon should hopefully mean the older 10XX Series and 9XX series prices might drop to something sensible. Prices of the 20XX are ridiculously high. Mostly prices won't drop that much on older generations since vendors had to buy them at high prices also. And they will sell their stock and don't get any new older generations cards. That's why i went for a 2de hand card. Also, mining keeps the prices and demand high. Indeed mining is a pain in the arse as it helps drive the prices up, I got lucky and a friend gave me he his 970 4GB for free.